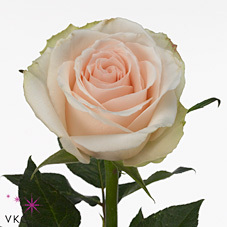 High & Bridal Roses are pale pink & usually available all year round. 50cm stem lengths this wholesale cut flower is wholesaled in 20 stem wraps. Wholesale Roses have always been one of the most popular flowers on the wholesale flower market and are available all year round in numerous varieties and grades. Here at Triangle Nursery, we tend to split wholesale roses into two categories – mainstream and specialist varieties.